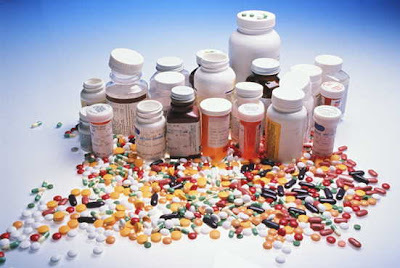 Here you will first find a list of all the major drugs and the problems they address. Then you will see each of the major problems (panic attacks, generalized anxiety, and so forth), with descriptions of the commonly recommended medications for that difficulty. You can take benzodiazepines as a single dose therapy or several times a day for months (or even years). Studies suggest that they are effective in reducing symptoms of anxiety in approximately 70-80% of patients. They are quick acting. Tolerance does not develop in the anti-panic or other therapeutic effects. Generics are available for many, which helps reduce cost. Overdose is not dangerous. Addiction is evident with prolonged use. Some patients experience the sedative effects of drowsiness or lethargy, decreased mental sharpness, slurring of speech and some decrease in coordination or unsteadiness of gait, less occupational efficiency or productivity and, occasionally, headache. These may continue during the first few weeks, but tend to clear up, especially if you increase the dose gradually. Sexual side effects can arise. Some people experience low moods, irritability or agitation. Rarely, a patient will experience disinhibition: they lose control of some of their impulses and do things they wouldn't ordinarily do, like increased arguing, driving the car recklessly or shoplifting. They also increase the effects of alcohol. A patient taking a BZ should drink very little alcohol and should refrain from drinking within hours of driving a car. If taken over long periods, the BZs can produce a loss of muscle coordination and some cognitive impairment, especially in the elderly. Abuse Potential. It is rare that a person with an anxiety disorder abuses the use of a benzodiazepine. However, patients with a history of substance abuse report a more euphoric effect from the BZs than do control subjects. They also can use the BZs to help with sleep, to control anxiety produced by other drugs or to reduce withdrawal symptoms from other drugs. Because of these concerns, it may not be in the best interest of patients who have both panic disorder and a current substance abuse problem to use the BZs for their anxiety. Symptoms upon tapering. Studies indicate that between 35 and 45 percent of patients are able to withdraw from the BZs without difficulty. Of the others, three different problems can arise. These are symptoms of withdrawal, rebound, and relapse, which can sometimes occur simultaneously. Physical dependence means that when a person stops taking a drug or reduces the dose quickly, he or she will experience symptoms of withdrawal. BZ withdrawal symptoms usually begin soon after reduction of the drug begins. They can be any of the following: confusion, diarrhea, blurred vision, heightened sensory perception, muscle cramping, reduced sensation of smell, muscle twitches, numbness or tingling, decreased appetite, and weight loss. These symptoms can be bothersome but are usually mild to moderate, almost never dangerous, and resolve over a week or so. At least 50% of patients experience some withdrawal symptoms when they stop taking a benzodiazepine, and almost all patients experience strong withdrawal symptoms if they stop the medication suddenly. Most experts now taper quite slowly, often taking months to completely discontinue the benzodiazopine. A higher dosage of a BZ, as well as longer use, can increase the intensity and frequency of the withdrawal symptoms. Short acting drugs (Xanax, Serax, Ativan) are more likely to produce withdrawal reactions than BZs with longer half lives (Valium, Librium, Tranxene) if they are discontinued rapidly, although the difference is usually small if they are tapered in an appropriately slow manner. Panic patients seem to be more susceptible to withdrawal symptoms than those with other anxiety disorders. Relapse symptoms. Relapse means your original anxiety symptoms return after reducing or stopping the drugs. Often in relapse the symptoms are not as severe or as frequent as they were before treatment began. Withdrawal symptoms start as the medication is reduced and end one to two weeks after stopping a medication. So if the symptoms persist four to six weeks after complete withdrawal, it probably indicates relapse. Rebound symptoms. Rebound is the temporary return of greater anxiety symptoms after withdrawal from the drugs than you experienced before the medication. This usually occurs two to three days after a taper and is often caused by too big of a reduction of the drug at one time. It is possible that a rebound reaction can trigger a relapse reaction. Between 10 to 35 percent of patients will experience the rebound of anxiety symptoms, especially panic attacks, when they discontinue the BZs too rapidly. A slow tapering of the medication is best. One approach is to remain at each new lower dose for two weeks before the next reduction. Tapering a BZ over a 2-4 month period can lead to significantly less withdrawal symptoms. Alcohol use. Alcohol will increase the drug's depressant effects on the brain and can result in excessive drowsiness or intoxication. The FDA has approved alprazolam in the treatment of panic disorder and several large-scale, placebo controlled studies support its effectiveness. It is also helpful for generalized anxiety disorder. Is rapid-acting so can offer some relief within an hour. Has few side effects. Can be taken daily or only as needed. Both panic disorder patients and generalized anxiety disorder patients can start feeling better within a week. To block panic attacks, two to four weeks of treatment may be needed. See benzodiazepines-possible disadvantages, above. About 10 to 20% of panic disorder patients fail to respond adequately to Xanax. Do not take if planning to get pregnant, while pregnant or while breast-feeding. Be cautious in drinking alcohol, since it can lead to increased intoxication effects and drowsiness. See benzodiazepines-side effects, above. The principle side effect is sedation, but dizziness and postural hypotension, tachycardia, confusion, headache, insomnia and depression also occur. Alprazolam is usually started using 0.25 mg (1/4 mg) or 0.5 mg (1/2 mg) two to three times a day. This lower starting dose helps reduce the side effect of sedation (sleepiness) that can come during the first week or so of treatment. If taken after meals, side effects such as drowsiness can diminish, and the therapeutic effects can last longer. Your physician can increase this dosage by adding 0.5 mg to one of the three daily doses up to a maximum of 2 mg three times per day. From that level, you take any additional increases at bedtime or apply them equally during the day. The dosage range is 1 to 10 mg per day. A common recommendation is to take a new dose every four hours during the day. If anxiety symptoms return earlier than four hours, clonazepam is sometimes added to the alprazolam. Generally physicians taper alprazolam at 0.25 mg every three days. Withdrawal and rebound symptoms can occur during taper. If you have been taking alprazolam for many months, it may be best that you gradually lower your dose over eight to twelve weeks. If you have difficulty with this regimen, then your doctor may suggest that you switch to a longer-acting benzodiazepine, like clonazepam (Klonopin), or a barbiturate called phenobarbital (Luminal). An alternative is to add a medication to alprazolam that would reduce some of the bothersome symptoms during the withdrawal period. These could be carbamazepine (Tegretol), propranolol, or clonidine (Catapres). Useful for generalized anxiety disorder, panic disorder. Works quickly, reduces anticipatory anxiety. Controlled trials suggest it may be helpful for social phobia. Longer acting than alprazolam. See benzodiazepines-possible disadvantages, above. Some patients develop depression while taking Klonopin. Best to avoid taking this drug during the first three months of pregnancy. Frequent use in later pregnancy can cause symptoms in the newborn. Avoid breast-feeding on this drug. Alcohol will increase the drug's depressant effects on the brain and can result in excessive drowsiness or intoxication. See benzodiazepines-side effects, above. Drowsiness occurs for 50% of patients, typically in the first two weeks. Fatigue, unsteadiness. Twice a day, .25 to 2 mg.
Used for generalized anxiety, panic disorder. Few side effects. See benzodiazepines-possible disadvantages, above. Do not take if planning to get pregnant, while pregnant or while breast-feeding. Use alcohol with caution. See benzodiazepines-side effects, above. Drowsiness, dizziness, blurred vision, tachycardia, weakness, disinhibition (where they act inappropriately grandiose or out-of-control). Start with a .5 mg tablet per night on the first night. Increase to .5 mg twice a day. Can be increased .5 mg every two or three days or more. Dosing is usually three times a day. Maximum dose is 10 mg per day. Used for generalized anxiety disorder, panic disorder and sometimes for a condition called night terrors, that occurs in children. See benzodiazepines-possible disadvantages, above. Avoid use during pregnancy and breast-feeding. Alcohol increases this drugs absorption and it depressant effects on the brain. Be cautious, and never drink alcohol if driving a car or operating dangerous equipment. See benzodiazepines-side effects, above. Drowsiness, fatigue, dizziness, blurred vision, tachycardia, loss of muscle coordination. Between 5 and 20 mg daily. Valium is a long-acting benzodiazepine, so one or two doses can last the whole day. It is also fast-acting, so you can feel some relief within thirty minutes. You can divide the dose and take it in the morning and evening, or take it all at once. See benzodiazepines-possible disadvantages, above. Do not take if planning to get pregnant, if pregnant or breast-feeding. Use caution when drinking alcohol. See benzodiazepines-side effects, above. Postural hypotension, drowsiness, blurred vision, tachycardia, lack of muscle coordination, nausea. Start with 5 to 25 mg two to four times per day and increase to average of 200mg, as needed. See benzodiazepines-possible disadvantages, above. May reduce blood pressure. Do not take if planning to get pregnant, if you are pregnant or if you are breast-feeding. Intensifies effects of alcohol. As Benzodiazepines side-effects above. Drowsiness, dizziness.